Mr. Silva is a Fellow Graduate Member from the Ceylon Hotel School and the School of Tourism (FCHSGA), in Hotel and catering operations with a specialization in Front Office Operations. He was awarded the Management Diploma in Hotel and Catering Operations with a second class Upper Division. 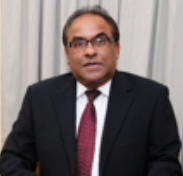 He is a member of the Institute of Hospitality (UK), Director of Amaya Leisure PLC, The Kingsbury PLC, The Fortress Resorts PLC, Maalu Maalu Resorts & Spa, Hunas Falls Hotels PLC, The Sun Tan Beach Resorts Ltd and Delair Travel (Pvt) Ltd. Presently serves as Director Head of Marketing & Sales for Amaya Resorts & Spas and the Kingsbury Hotel Colombo. He counts over 22 years of experience in the Hospitality Industry, specializing in Marketing and Sales. 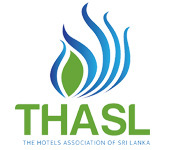 A Board Member of SLTPB (Sri Lanka Tourism Promotion Bureau), Vice President of THASL (The Hotel Association of Sri Lanka),Chairman Marketing Committee of the Conventions Bureau, Chairman of PATA (Pacific Asia Travel Association), and is the ImMediate Past President of TTSC (Travel Trade Sports Club). Mr. Silva is an All Island Justice of Peace. Mr Siri Goonewardene is a stalwart of the Sri Lankan Tourism industry and first entered tourism in the early 1970's and counts four and a half decades of experience in the sector. A true entrepreneur, he built Coral Sands with the help of a few investors and continues as Managing director to date. He also played a pivotal role in regional associations and was the inaugural president of the Hikkaduwa Hoteliers association, which was the first regional body represented at WTM. He continues to retain this position and has been a strong advocate for Hikkaduwa, the South and the smaller, developing hotels. He has led a number of projects with the support of international organizations such as WTO, IFC, and helped set up the Hikkaduwa Tourism Service Providers Association, which focuses on improving service standards among all stakeholders in the area. He is an active member of THASL and has served as a Vice President for well over 10 years. 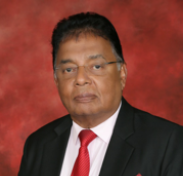 Counting over four decades of experience in the Tourism and Hospitality industry, Mr Shanthikumar has been a catalyst in driving some of the key initiatives implemented by the Governments which were of immense benefits to the hotel industry at large. Mr. Shanthikumar is a Director of Alhambra Hotels Ltd, Director - Ramada Colombo, Director - Carlton Tours, Director Sri Lanka Tourism Development Authority, Director Sri Lanka Conventions Bureau, President Colombo City Tourist Hotel Association, and been part of the leadership team of The Hotels Association of Sri Lanka for over a decade. He also held the position of Director/CEO of Global Towers Hotel, Global Investment, Global Lanka Hotels and a Director of Ocean Edge Hotel. 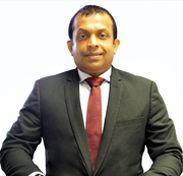 A member of the Advisory Panel on Colombo City Hotels and a member of the Hotel Classification Committee appointed by the Ministry of Tourism and also served as Acting Chairman of Sri Lanka Convention Bureau. Ms. Angeline Myrese Ondaatjie, B.Sc., M.Sc. serves as a Managing Director of Tangerine Tours (Pvt) Ltd. Ms. Ondaatjie has been a Joint Managing Director at Royal Palms Beach Hotels PLC and Tangerine Beach Hotels PLC since May 1, 2005. She has over 15 years experience in the tourism, financial services and manufacturing sectors. She has been an Executive Director at The Nuwara Eliya Hotels Company Plc (Alternate Name: Nuwara Eliya Hotels Co Ltd.) since October 17, 2000. She has been a Non Executive Director of The Lighthouse Hotel PLC since March 22, 2010. She has been a Director of Tangerine Beach Hotels since August 14, 1992. She has been a Director of Royal Palms Beach Hotels since 1994. Ms. Ondaatjie has been an Executive Director of Mercantile Investments and Finance PLC (Mercantile Investments Ltd) since January 20, 1992. 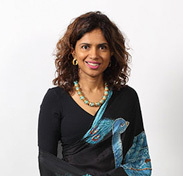 She holds directorship in eight other companies including Nilaveli Beach Hotels (Pvt) Ltd. Director Mercantile Investments Ltd, Educational Counsellor for Massachusetts Institute of Technology and is presently the Vice President The Hotels Association of Sri Lanka and a Director of Sri Lanka Tourism Promotion Bureau. Ms. Ondaatjie holds a Masters Degree from the University of Texas in Austin, USA and a BSc Degree from the Massachusetts Institute of Technology USA. &COPY; 2017 The Hotels Association of Sri Lanka, Inc. All rights reserved.